Sylvia Neusch: "Hold the Line! God is Releasing Your Identity Upgrade!" "Hold the Line! God is Releasing Your Identity Upgrade!" I have known Sylvia for a few years and have loved spending time with her and getting to know her. Sylvia and her husband Richard lead an amazing church and have the respect and love of those around them. Sylvia has such a beautiful heart after God, a heart of purity and sensitivity to the Holy Spirit. She carries a deep and wonderful revelation of the heart and nature of God and His whispers in this hour. God has been working deeply in hearts during this season. Things are being uprooted that would hinder our progress and ability to flow in the new thing that He is doing. Faulty foundations are being exposed, examined, and shored up where they are lacking. Some of the old structures that served and worked well in the former season are being dismantled and removed so that the new can begin to spring up. In all of this, God is releasing identity upgrades to the hungry and humble of heart. Many have been positioned to drink from the river of new wine that God is pouring out now and in the coming days. It is important to position ourselves for encounters with God in this season as identity upgrades, assignments and new mantles are being released to the new wine army. The enemy has been working to hinder our progress through his usual arsenal of accusation, shame, blame, rejection and fear—but, God is releasing a grace for a divine reset and upgrades of identity in His sons and daughters. There is a grace for a new alignment with Heaven in this season as we purpose to position our hearts and lives to align with Him. Part of our positioning is the actual stance we take as we trust Him to take us into the new. We are told in Phil. 3:13-14, "... Forgetting what is behind and straining toward what is ahead, I press on toward the goal to win the prize for which God has called me Heavenward in Christ Jesus." This picture is of a runner who has set his sight on the goal and prize. As he does this, he knows it is vital that he not look behind. Instead, he gives his all into running toward the goal. As we "forget what is behind" it is important that we deal with any and all things that would attach us to the past such as unforgiveness, bitterness, broken relationships or unconfessed sin. These things would be like weights that we carry as we try to run. These weights greatly slow us down and keep us from reaching the finish line. It is God's heart that we run with Him, unfettered and free to focus on the race ahead. He desires that we be positioned for increase as we partner with the grace for alignment that He is releasing. Recently, during worship, I heard the Lord say the phrase, "Hold the line!" I had been sensing and feeling the battle over identities that was occurring with many. As I heard this phrase, I saw a picture of a line of soldiers in battle. The enemy was advancing toward the soldiers and firing fiery arrows and spears. The soldiers who received the command "Hold the line!" did not waver or budge; instead they raised their shields, linking them together and began to advance forward. I felt that this was a picture of the stance we are to take as the enemy comes to assault our identities. We are to "... demolish arguments and every pretension that sets itself up against the knowledge of God, and we take captive every thought to make it obedient to Christ" (2 Cor. 10:5). As we choose this stance we will "hold the line" of what God has said about us, refusing to give the enemy any ground that God has claimed as His own. Jesus said in John 15:9, "As the Father has loved Me, so have I loved you. Now remain in My love." We are to remain in that place of His love, remembering the words He has spoken to us even as the enemy advances toward us. As we continue to believe God for a great harvest, it was highlighted to me why identity is so important for this new season. As Jesus spent time with His disciples before He was crucified, He modeled something pretty incredible. Though He had identified Himself as the Messiah, He stooped to wash their feet. As I marveled at this reality, I saw these words in John, 13:3-5, "Jesus knew that the Father had put all things under His power, and that He had come from God and was returning to God; so He got up from the meal, took off His outer clothing and wrapped a towel around His waist. After that, He poured water into a basin and began to wash His disciples' feet ..."
Knowing our true identity will be pivotal and key as we release the heart of the Father to the world around us through serving them. Jesus was able to stoop and wash His disciples' feet because He knew who He was. There were no unanswered questions in His heart as to His secure relationship with the Father. There was no orphan identity causing Him to manipulate, maneuver, or scheme to control His environment or the people around Him. He knew who He was, so He was free to be secure and powerful in His role here on Earth as He ministered to the people around Him. God desires that we be secure as well, and He is raising up powerful sons and daughters who know that they are royalty. The favor He is giving us is to be stewarded well and shared with the people around us so that God is glorified. As we position ourselves for encounters with God we can be confident that He has significant identity upgrades for us to receive. All of the world will be impacted by the fruit of these encounters as the New Wine army marches forward to harvest the nations. Sylvia Neusch is a wife, mother, pastor, author, prophetic voice and prophetic blogger. Sylvia operates with an anointing to sense the times and seasons and encourages the Body of Christ in stewarding the current and coming move of God. Through her writing and teaching, Sylvia has a passion to encourage and equip people to discover their true identities and to mature in Christ to walk in their God-given destinies. Sylvia and her husband Richard are the senior leaders of True Life, a non-denominational church in Round Rock, Texas. 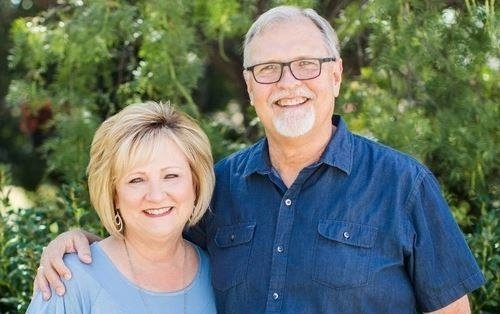 They are also the founders and co-directors of the Austin School of Supernatural Ministry as well as regional facilitators in Central Texas for Sozo Ministry.